RHS wants to inspire young and old alike to get outdoors with a camera and record how enriching and inspiring gardens and plants can be. 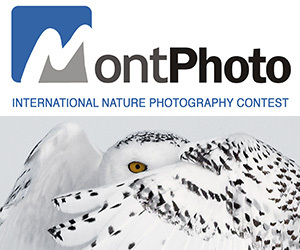 Amateur and professional photographers can enter the updated competition, which runs from 26 May 2016 to 28 February 2017. Not only has the prize money been boosted, we’ve also extended the range of categories, and to encourage more people to share their two passions of gardening and photography, taking part is now free of charge (maximum of five entries per application). Photographers of all ages can enter the Social Media category: any image submitted via RHS Twitter, Instagram or Facebook accounts, using the hashtag #RHSphotocomp. The image can be related to anything horticultural or gardening, and a monthly winner will be selected by our social media followers. Each monthly winner will then be fed into the competition judging for overall category winner. The competition opens on 26 May 2016 and closes on 28 February 2017. All categories are free to enter. There are nine categories in total: eight will give a first, second or third place, plus highly commended, if judges deem necessary. One (Portfolio) is an RHS judged medal category – applicants must go through a selection process – see below. 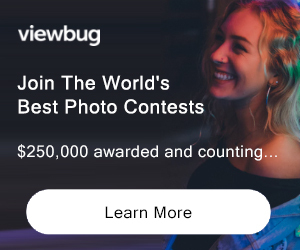 Please note there is a limit of five entries per application, except for the Social Media category, in which applicants may enter up to five images per month during the duration of the competition; and Portfolio, which requires six images. Third place: £50 Wex Photographic vouchers Not eligible to enter? - Find contest where you are. COPYRIGHT: Entrants remain the copyright holder to any images submitted by themselves. USAGE RIGHTS: By entering the competition the entrants grant the RHS Photographic Competition and its sponsors to use the entries for promotional use, this includes, but is not restricted to; exhibiting, competition calendar, competition book, for use in press, on websites, etc. Entrants agree to grant the RHS Photographic Competition a nonexclusive irrevocable licence to reproduce, enlarge, publish and exhibit for any purpose related to the competition in any medium, including print and digital. The entrants agree to RHS free usage sublicensing the shortlisted images for press articles or any other external communications related to the competition. After the competition closes the digital file entries will be deleted, apart from those that have been shortlisted. The photographer will be credited (e.g. © photographer’s name). The photographer agrees that the Owners will not be liable to the photographer in the event of inadvertent omission of the credit. Entrants may be contacted to negotiate the use of the entry on licensed merchandise (e.g. posters, prints). The entrant is responsible for any claim made by a third party against the submission.